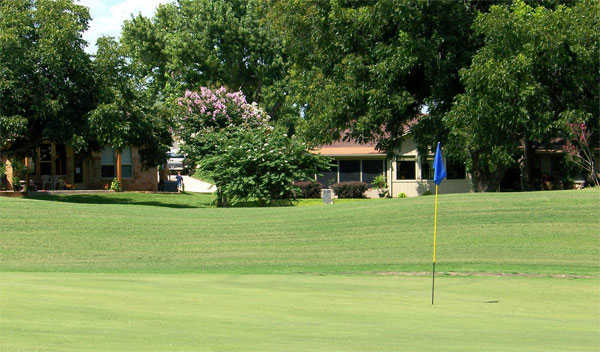 Hidden Falls Golf Club is a Leon Howard design that opened in 1974. 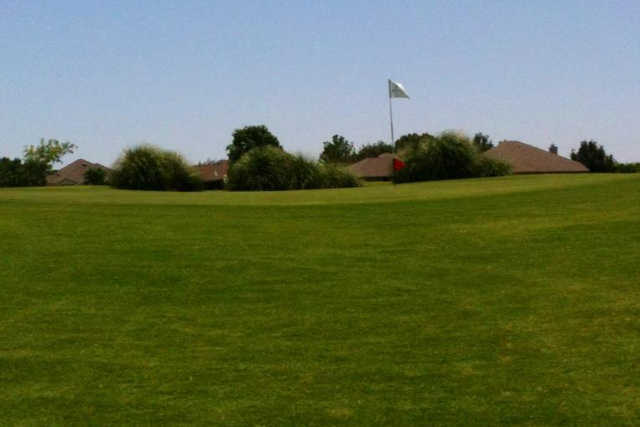 The course cuts through a pecan grove on the front and what seems like an ocean of water on the back, creating two totally different golf experiences. 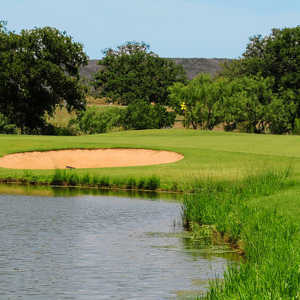 Howard uncharacteristically left out water on the tight, pecan-lined front, with the wet stuff in play on only one hole. However this one pond plays a role in the best hole on the course, no. 4, which features a pond and waterfall in the landing area off the tee. No. 4 is rated as the most difficult. The more open back nine is dominated by water. No. 10 starts off with a drive of 200-yards-plus over the pond fronting the tee. 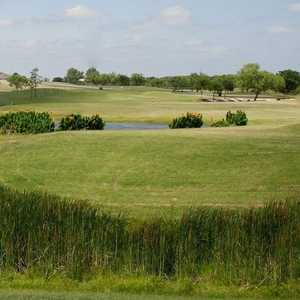 A small creek comes into play on the next three holes, which lead you to the other signature hole, no. 14. Water lines the left side of the 14th, and the approach is over a small pond. If that's not enough, the final three holes all feature water in play off the tee. 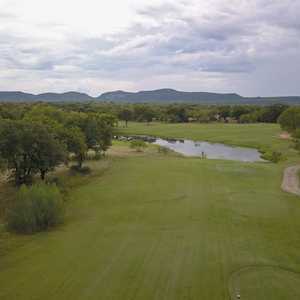 Lots to love about this unique little course out in Marble Falls. First of all, there's no marshall and no starter at the first tee box. 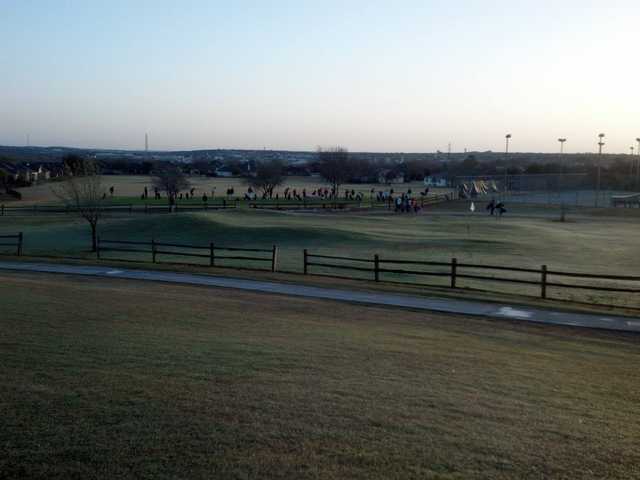 Get there, get warmed up, hit a few balls, and when you see an opening on the 1st tee, jump on in. 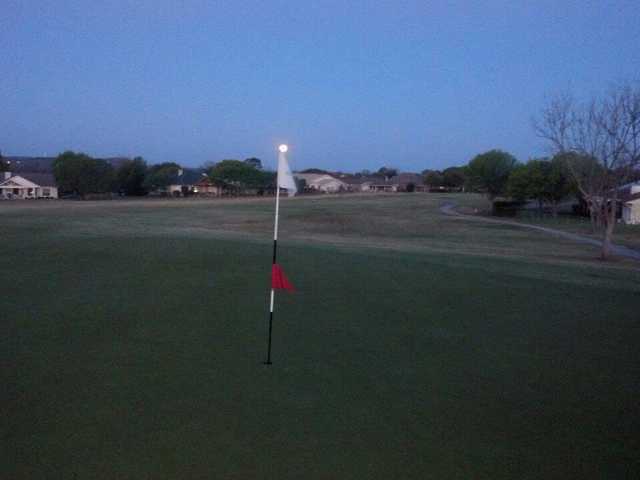 Very easy to play an extra 9 (during the week, any way) if you want, as most of the older folks who play this course are done and off the course by noon. While there are houses in play on nearly every hole, the fairways are generous and forgiving, even for the most novice of beginners. What makes this little course so much fun is that it allows/requires golfers to really manage the course and consider each shot, rather than just ripping your longest club. Lots of doglegs, lots of (often hidden) water, and lots of huge easy to hit greens (but lots of contours). Good iron play is really rewarded on this course.